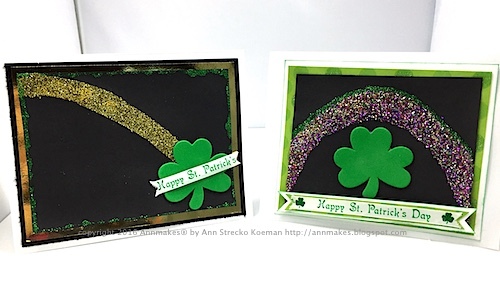 Here is how I make some easy cards for Saint-Patrick's Day coming March 17. 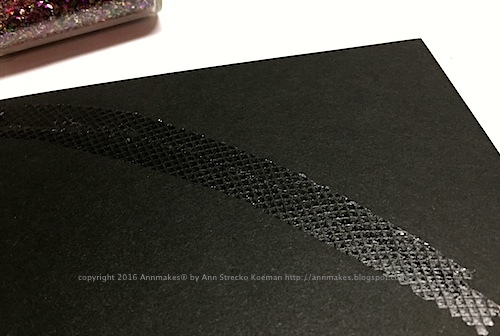 First I cut some black cardstock. Second, I make an arch or rainbow with a couple of lines of Dot Adhesive (a dry adhesive). 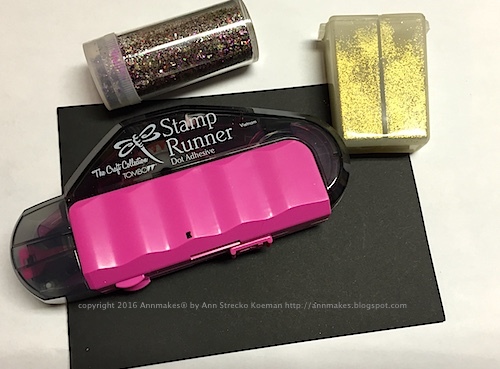 My new favourite is the Stamp Runner from Tombow. 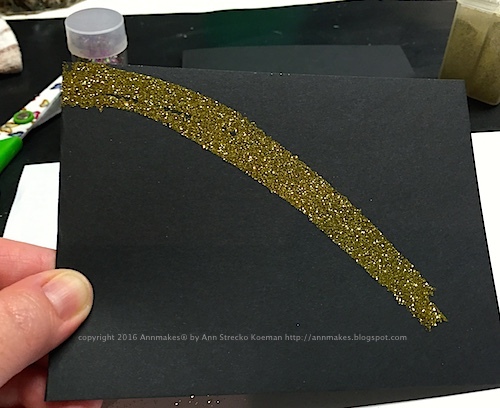 Third add glitter to the sticky part. 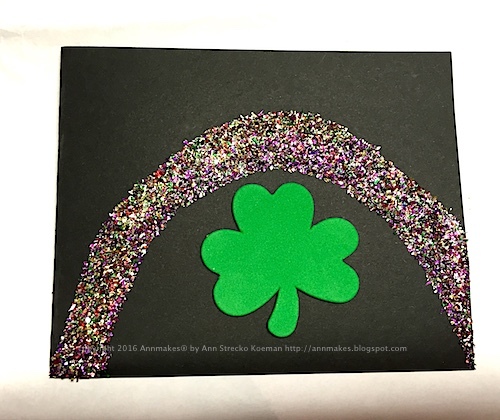 Four decorate the rest of the card with some Clover (foam sticker) from the dollar store. 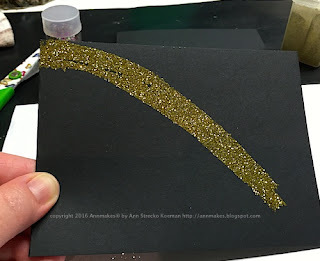 Add more embellishments if wanted.